Last week, I highlighted Grenache as the perfect wine to go with your Thanksgiving turkey, but I left all the wonderful accompaniments to it out in the cold. To rectify this oversight, I give you Thanksgiving dinner part 2. Thanksgiving dinner can be one of the hardest meals to try to pair wines with as every Thanksgiving menu is different. Even the staple of the meal, the turkey, is cooked differently- some roast it, some deep-fry it or some really go for the gusto with a tur-duck-in. When you get the turkey figured out, there are all the side dishes; from cranberries, beans, yams, potatoes in many forms, and stuffing- of which everyone seems to have their own unique recipe- to consider. 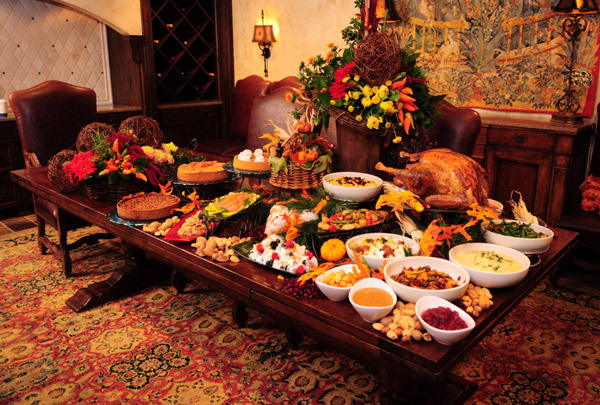 Then there are salads, appetizers, desserts…it’s Thanksgiving- there’s a lot of food to be thankful for. With our wide variety of wines, Naggiar can be your one-stop-shop for wine to pair with your Thanksgiving meal. To start with, appetizers- especially cheesy or fried ones (because who really wants to eat carrot and celery sticks on Thanksgiving?) our dry Viognier is a great choice. If you have any seasonal vegetables on the menu for a side, especially carmelized ones, our Trois Demoiselles, a white blend, with its Roussane influence is an inspirational pairing. As for the stuffing-ah, the stuffing- or any dish made with mushrooms and herbs (can you tell that’s a key ingredient in our stuffing?) 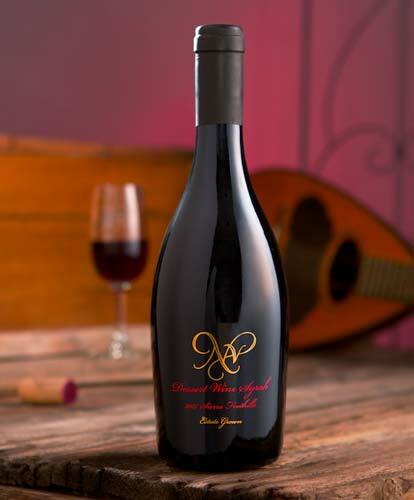 a fruit forward Mourvedre is the varietal to make your side dishes sing. And maybe, just maybe, turkey is not what you are serving (oh the horror!) we have you covered there as well. Malbec is an ideal wine to pair with roasted meats or slow-roasted root vegetables for the vegetarians out there (see, we have everyone covered!) And, I saved the best for last- well, what my sweet-tooth deems most important- dessert. Naggiar makes two dessert wines- a port and a late harvest Viognier which is fabulous with one of my favorite pies, possibly the most unhealthy one out there- pecan pie. Now comes the disclaimer so this doesn’t come back to haunt me (or Derek who made all of the recommendations)- these are just suggestions of what we like with a traditional turkey dinner. The most important thing is to drink what you like with whatever food sounds good, no matter what kind of look anyone gives you. Wine tasting and appreciation are subjective and life is too short to live by strict guidelines with food and wine combinations, and let’s face it, Thanksgiving is the one day you don’t want to be strict with your eating and drinking!